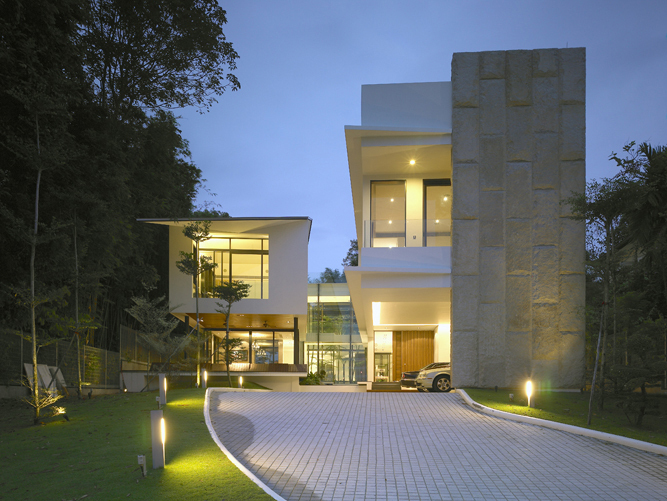 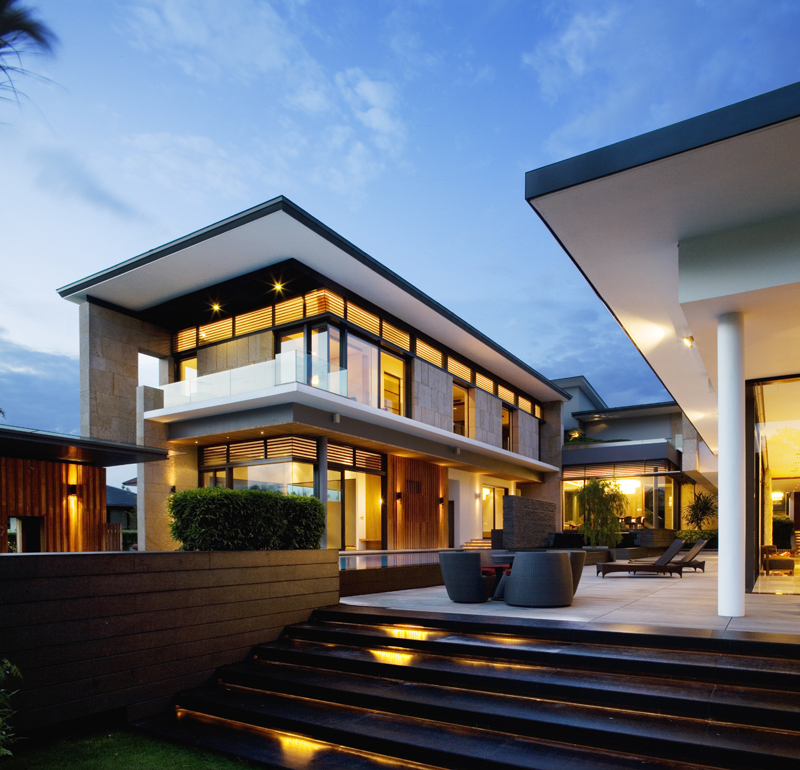 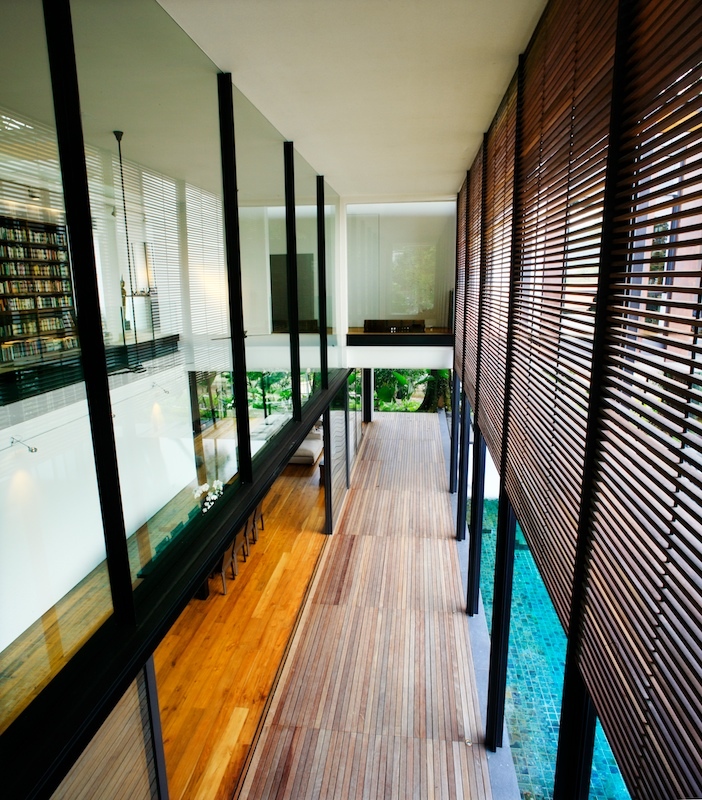 The client had wanted a “tropical” house, with adult and children’s areas separated in different wings. 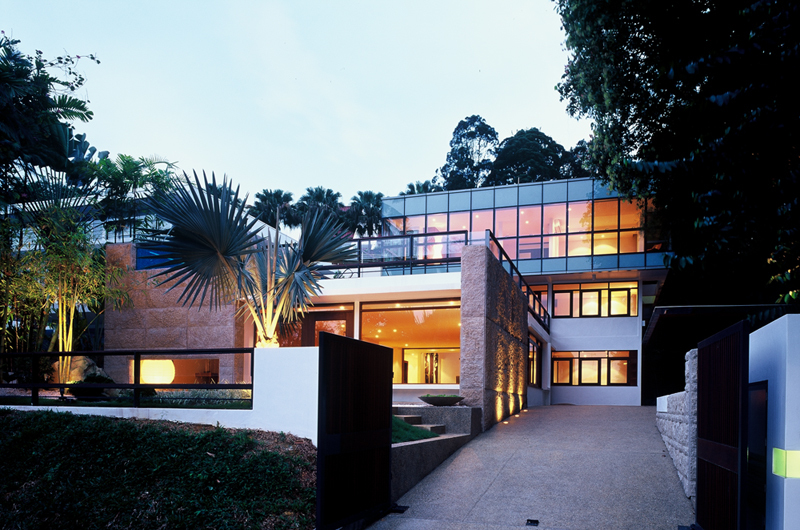 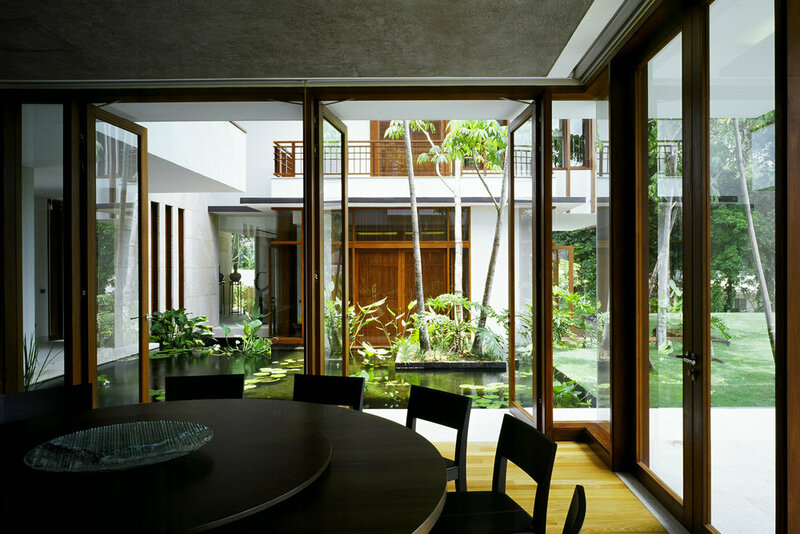 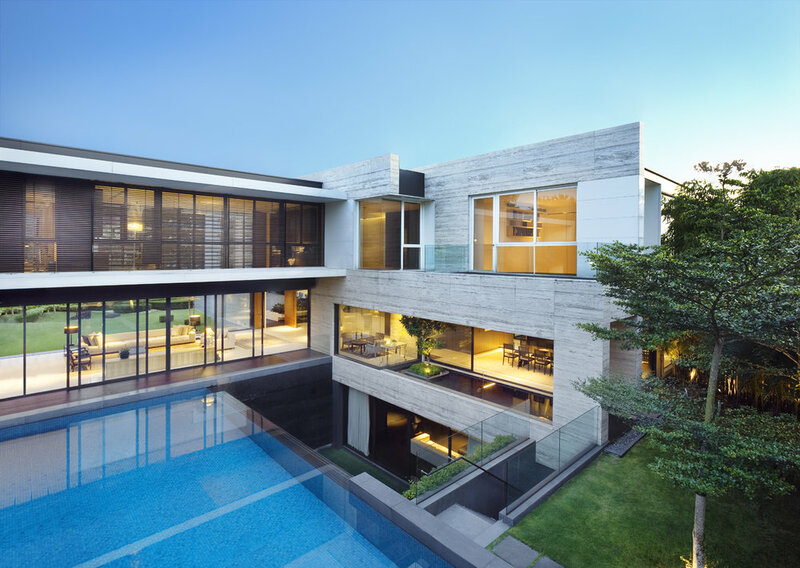 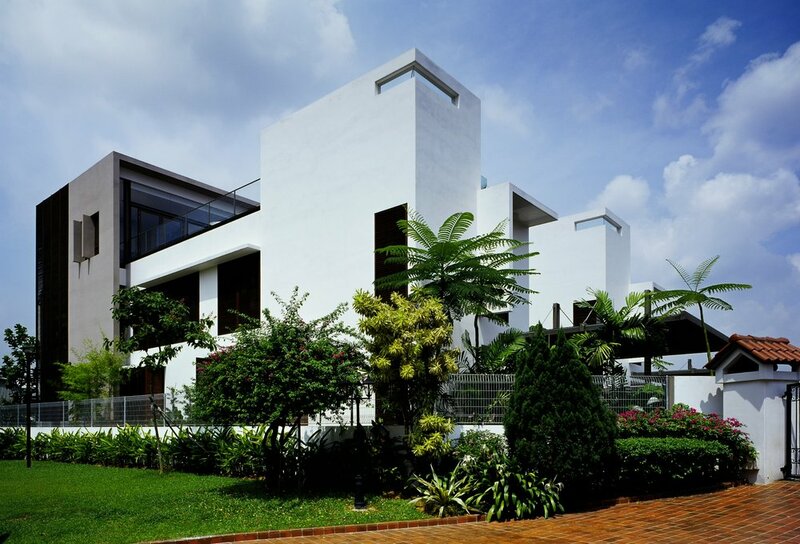 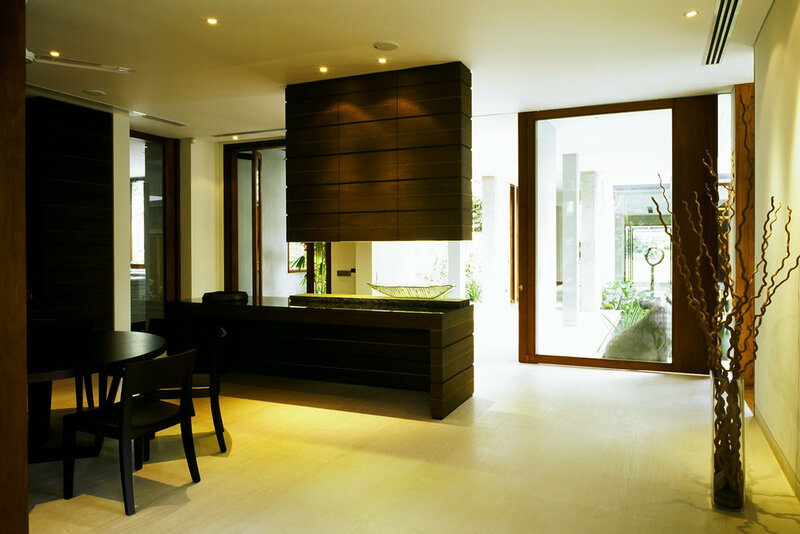 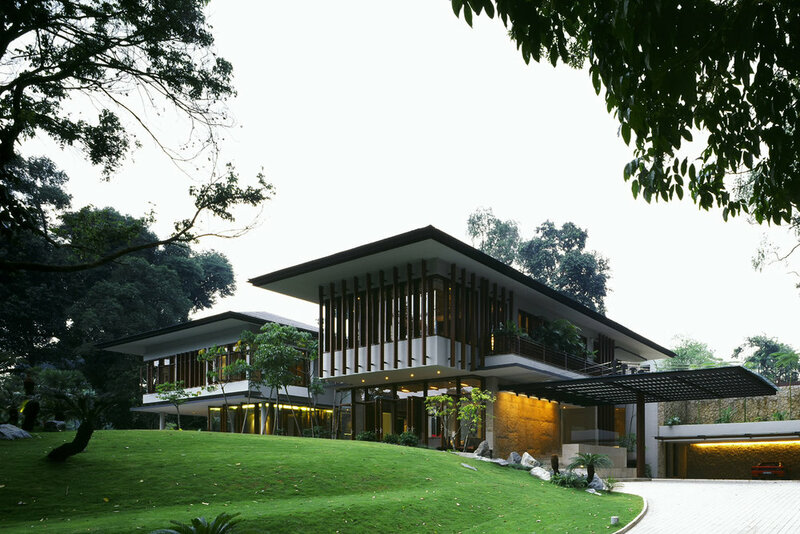 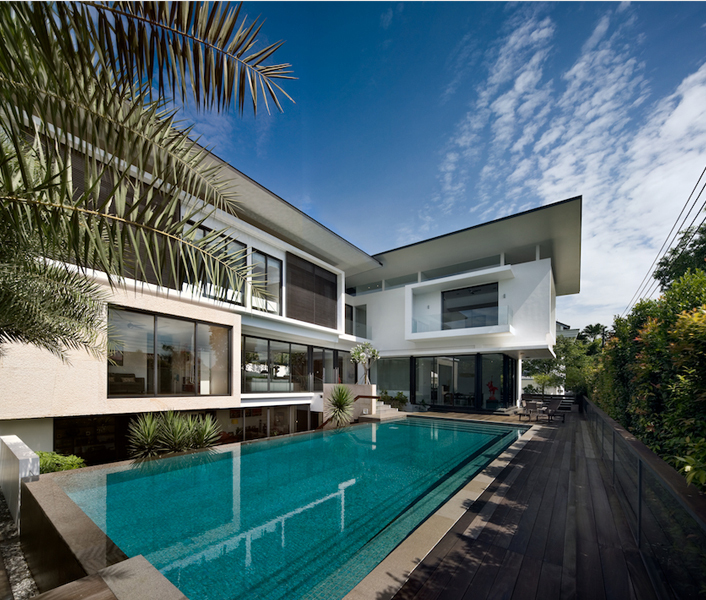 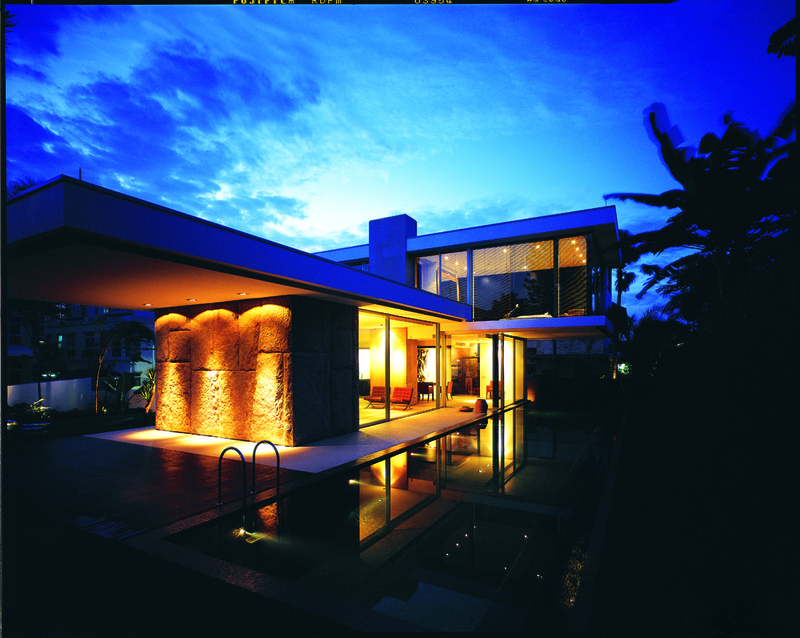 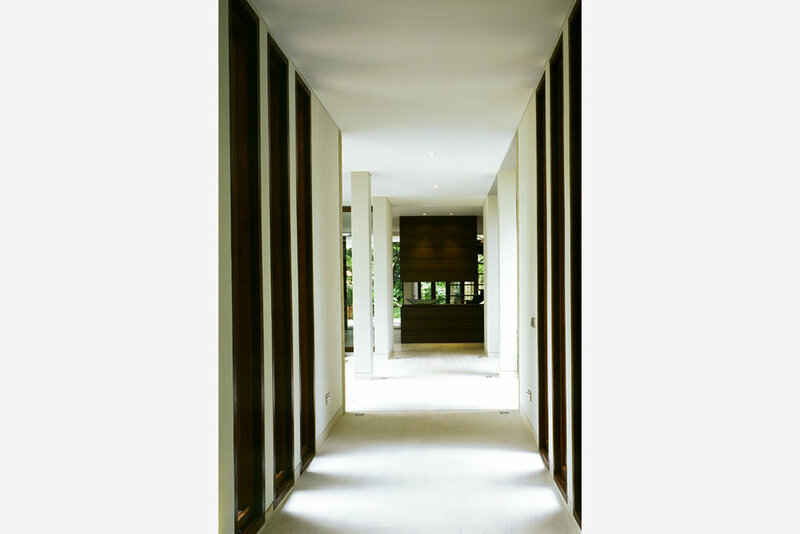 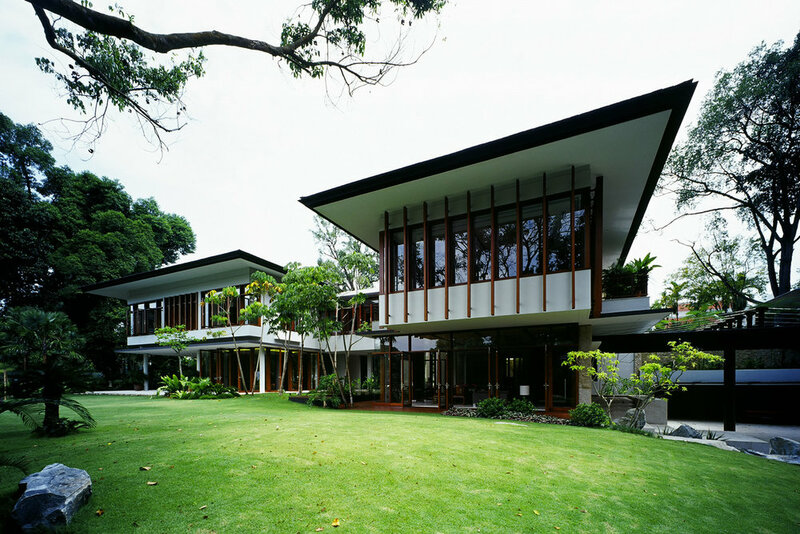 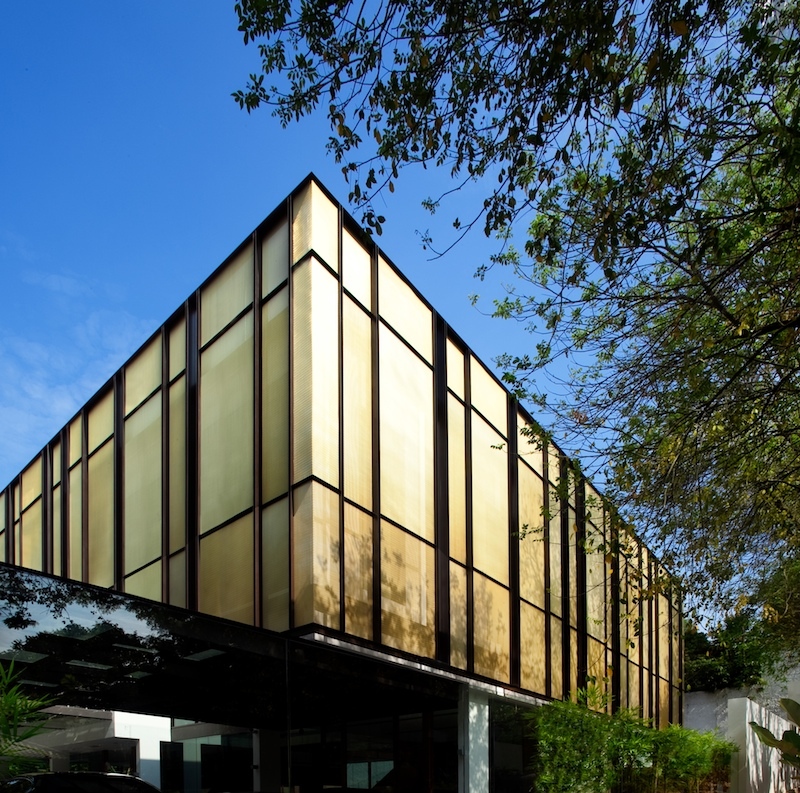 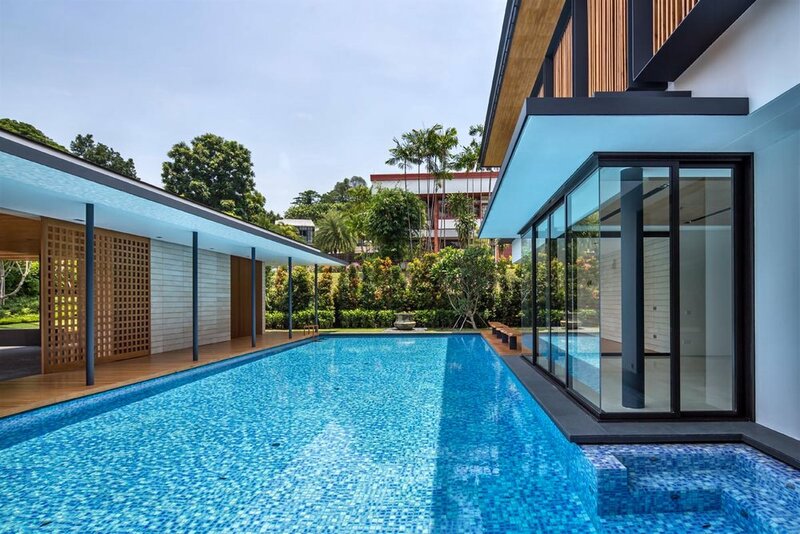 The result is a kind of modernized “plantation” house open to an expansive garden and pool area, and designed for cross ventilation with a mix of large timber-framed glass sliding doors and vertical timber-framed windows, reminiscent of traditional hook-and-latch windows, but twice as high. 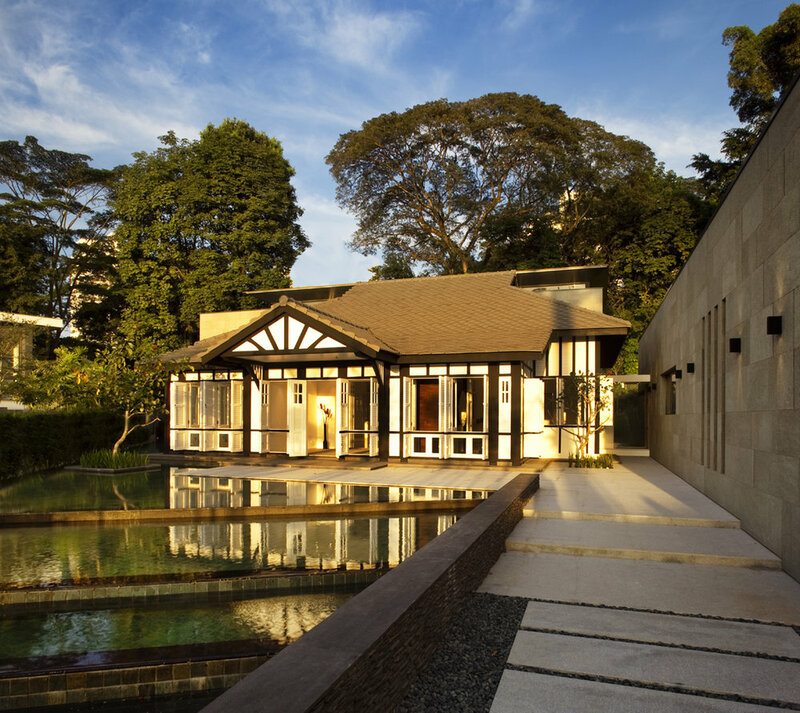 The two pavilions are linked by an open gallery with views across the internal pond to the garden. 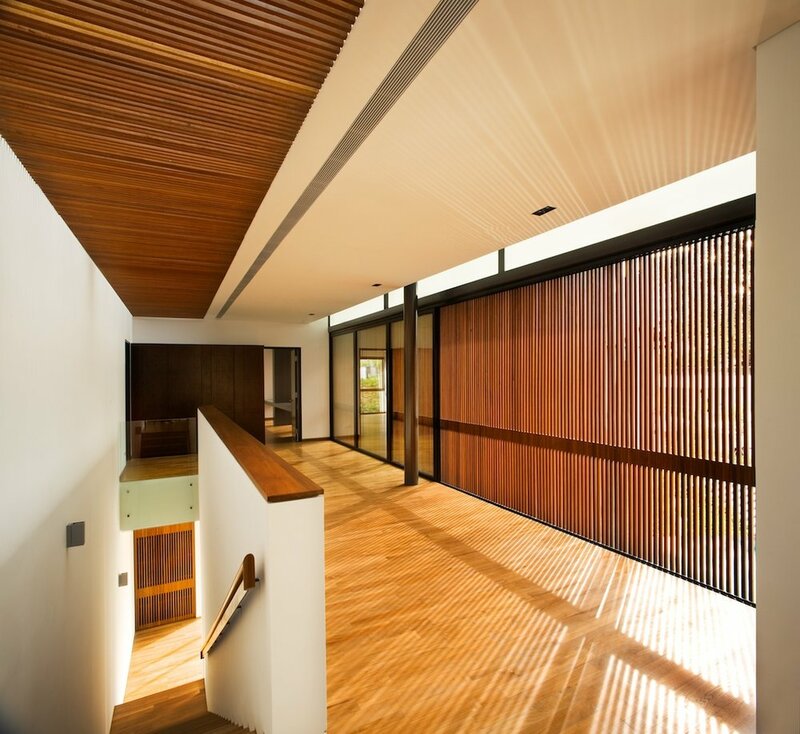 The suspended stairway linking the ground floor to the bedroom level maintains connection between the internal and external spaces. 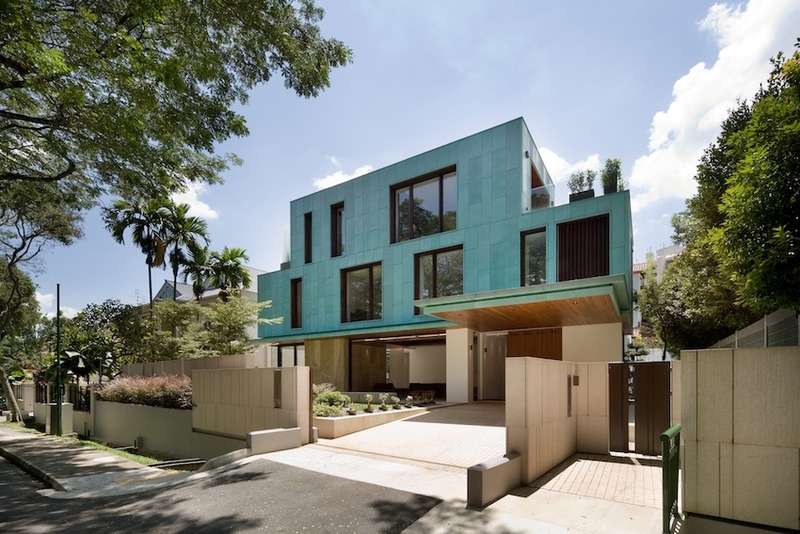 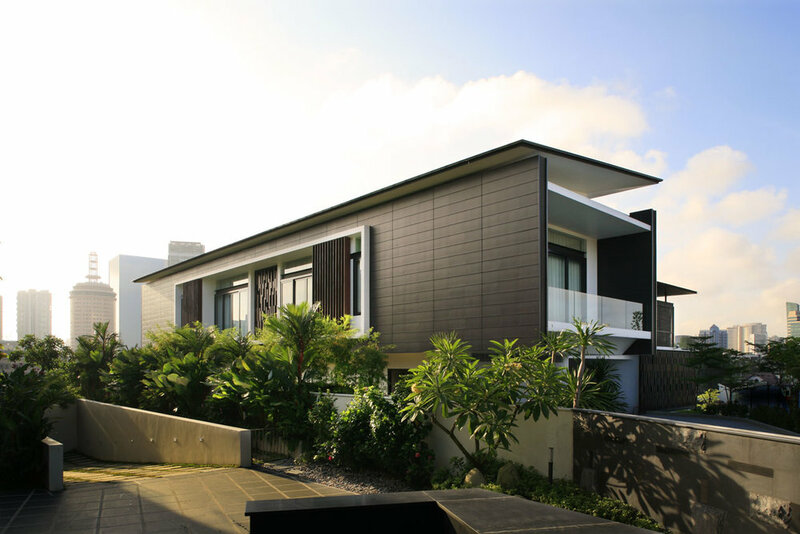 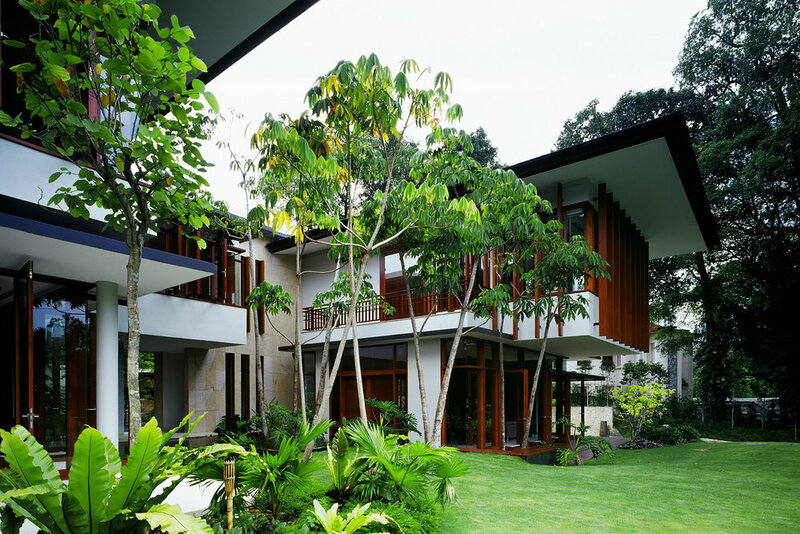 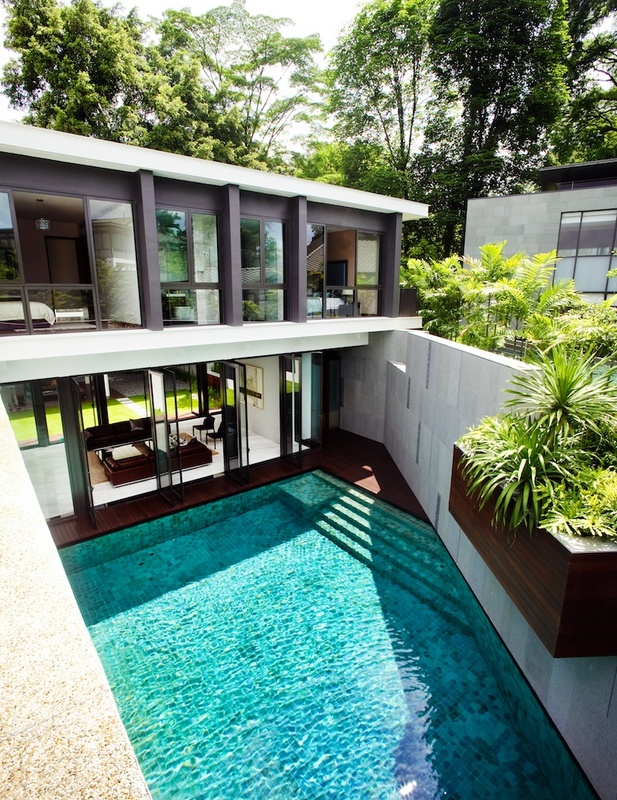 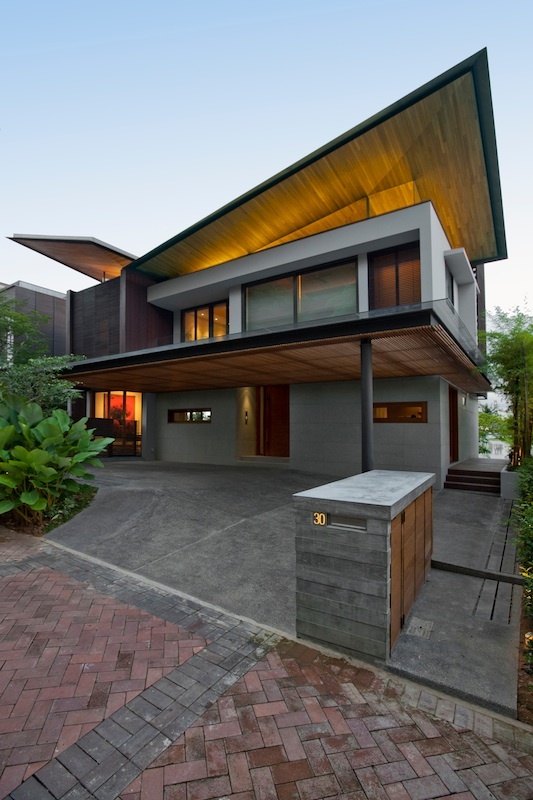 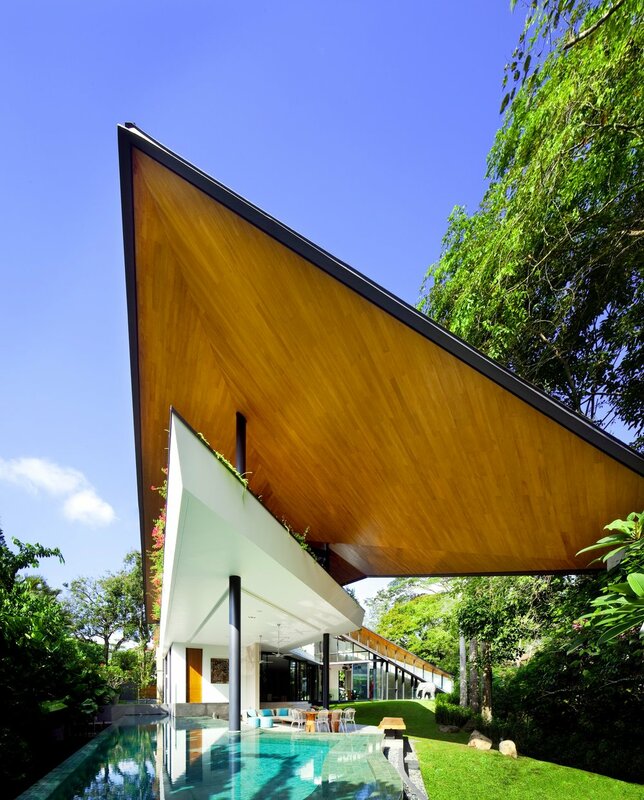 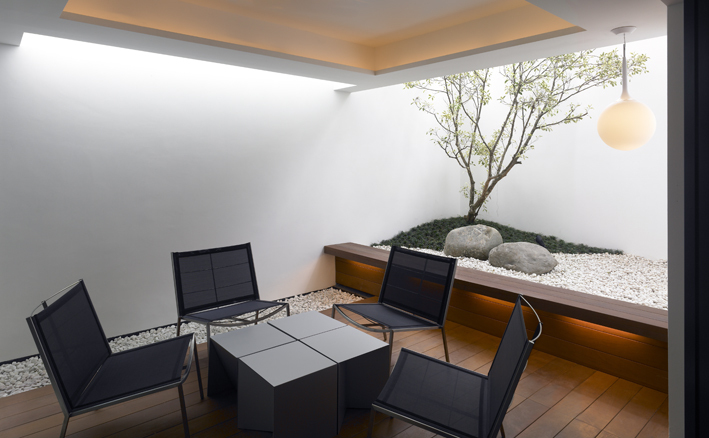 The vista formed as a result of this orchestration reveals a truly tropical house embedded in a lush garden space.